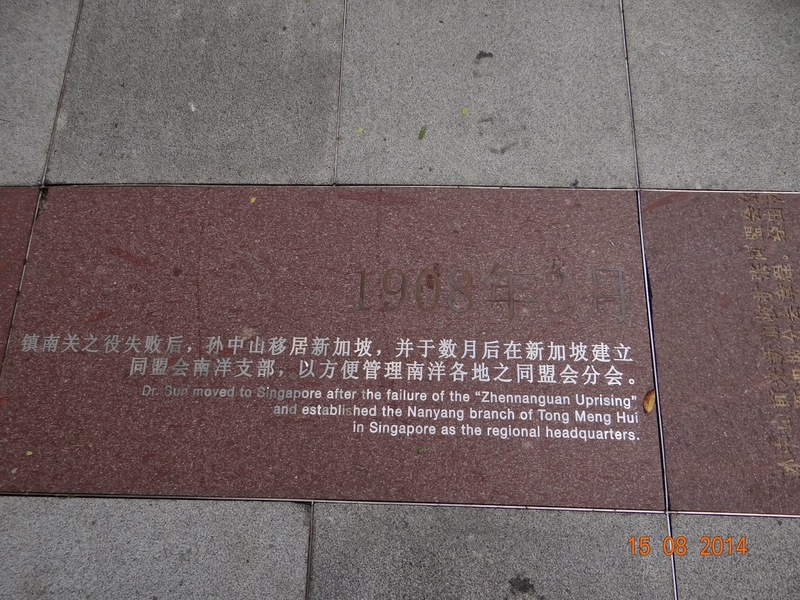 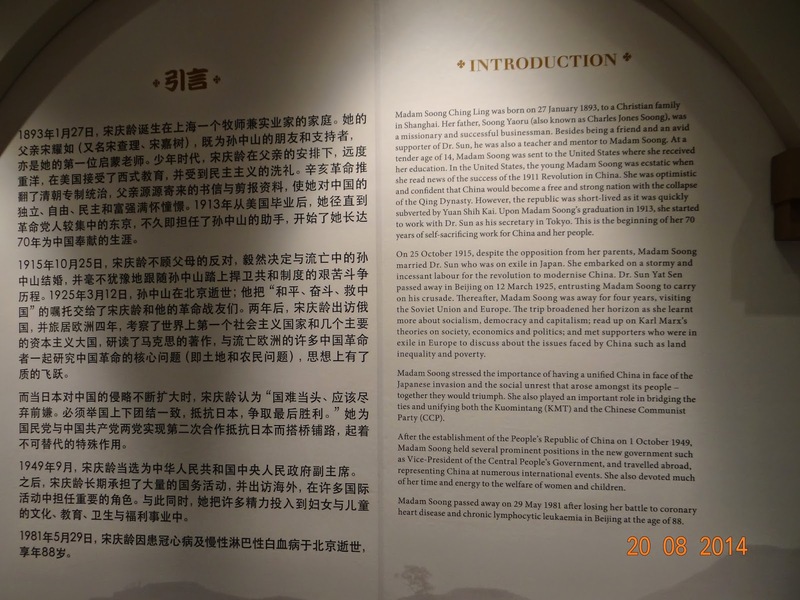 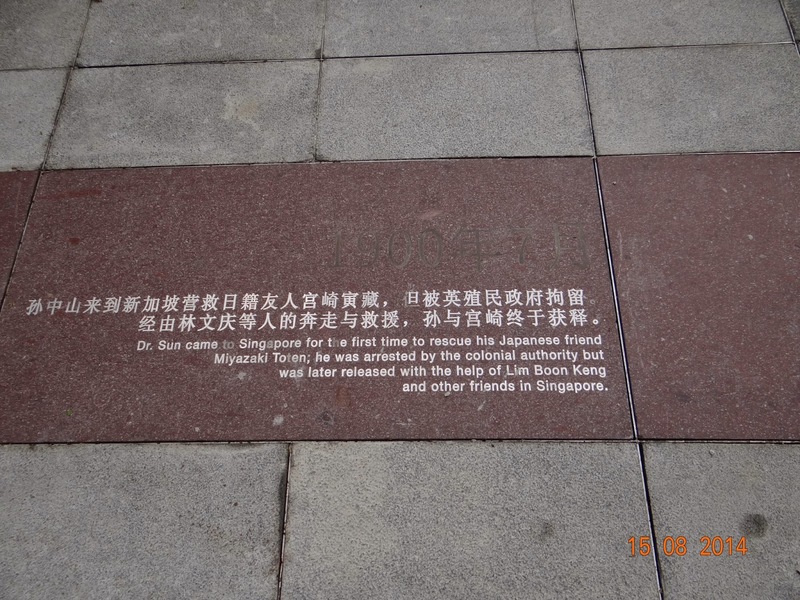 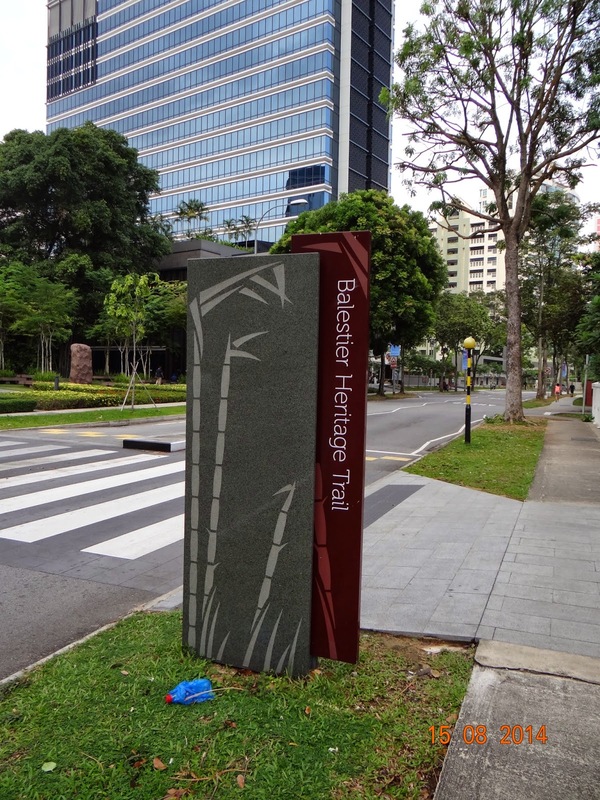 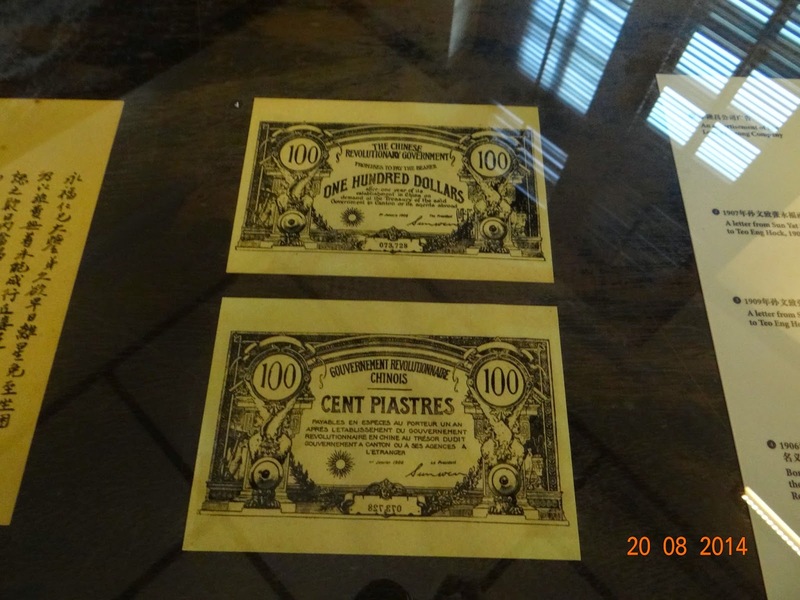 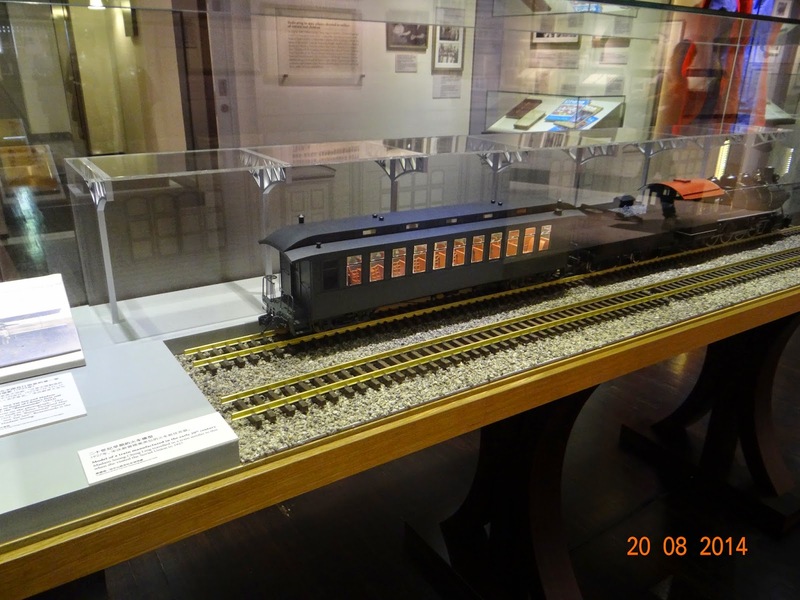 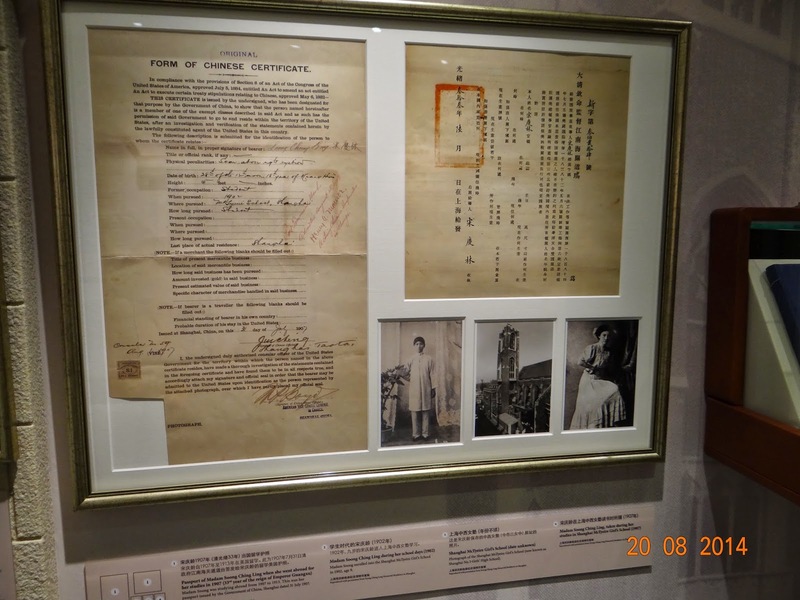 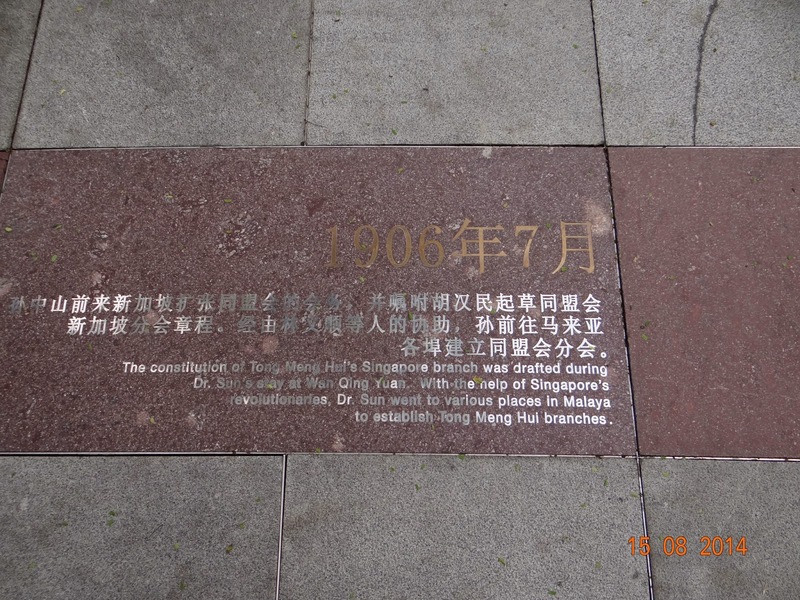 One of the residents of Balestier was Dr. Sun Yet Sen, the founder of the Republic of China. 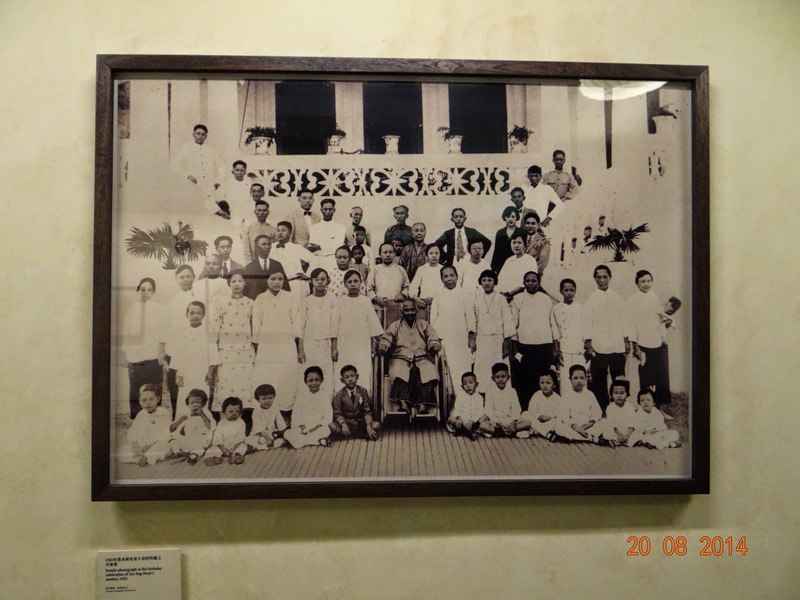 Dr. Sen was a frequent visitor to Singapore and South East Asia in the early 1900s. 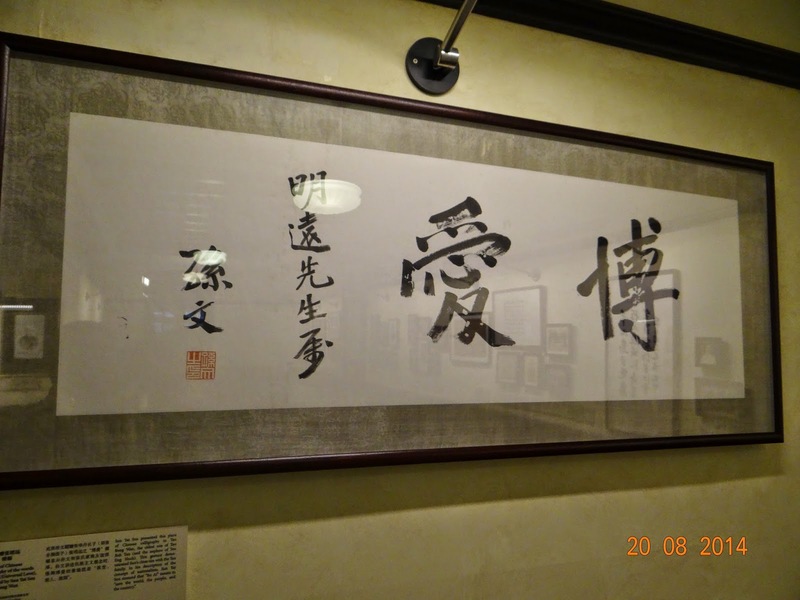 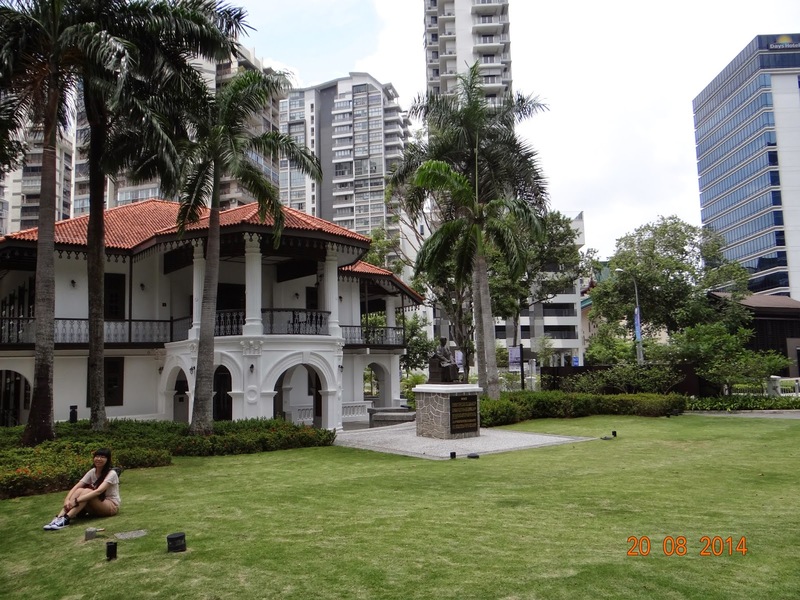 During his stay in Singapore, he was offered a villa, known as Wan Qing Yuan (Serene Sunset Garden). 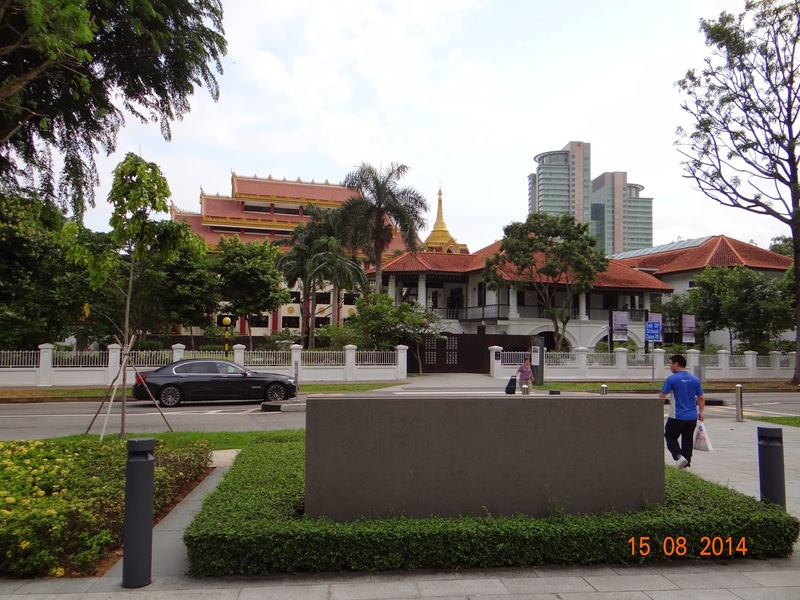 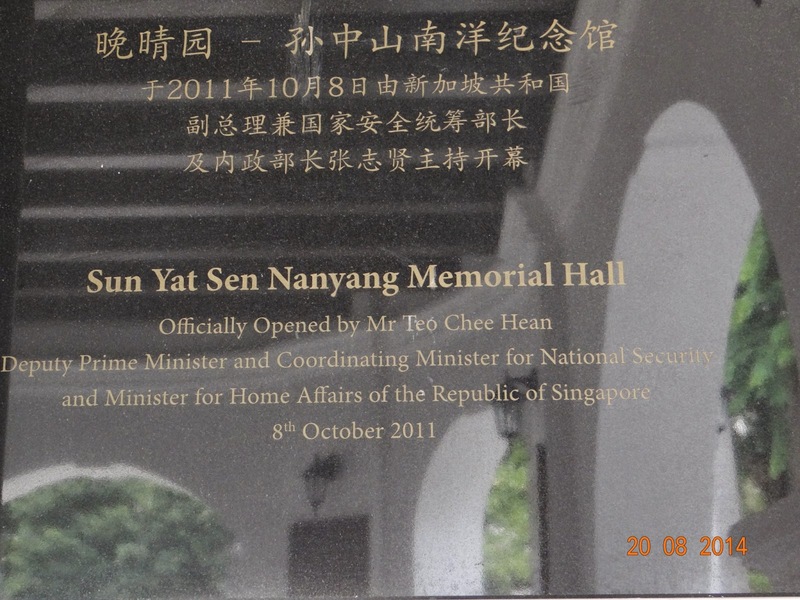 Today it is called the Sun Yat Sen Nanyang Memorial Hall. 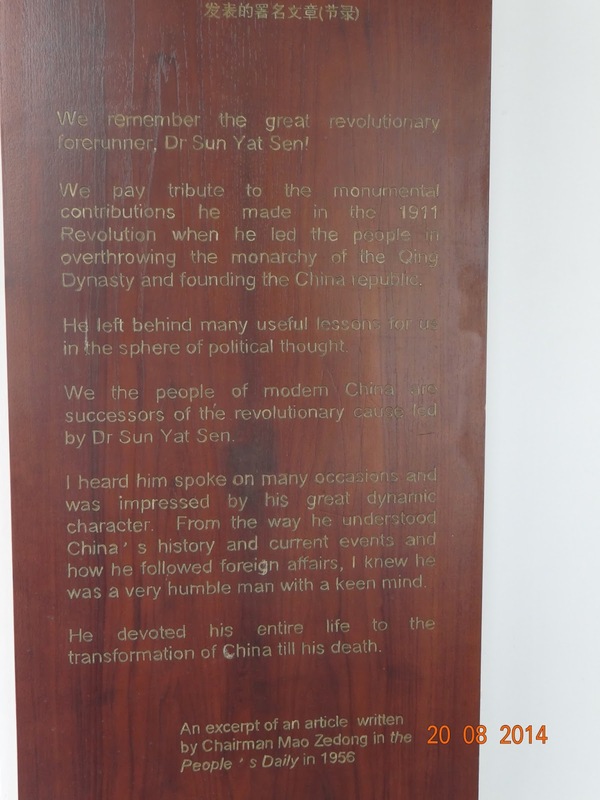 Dr. Sn was a medical doctor turned revolutionary. 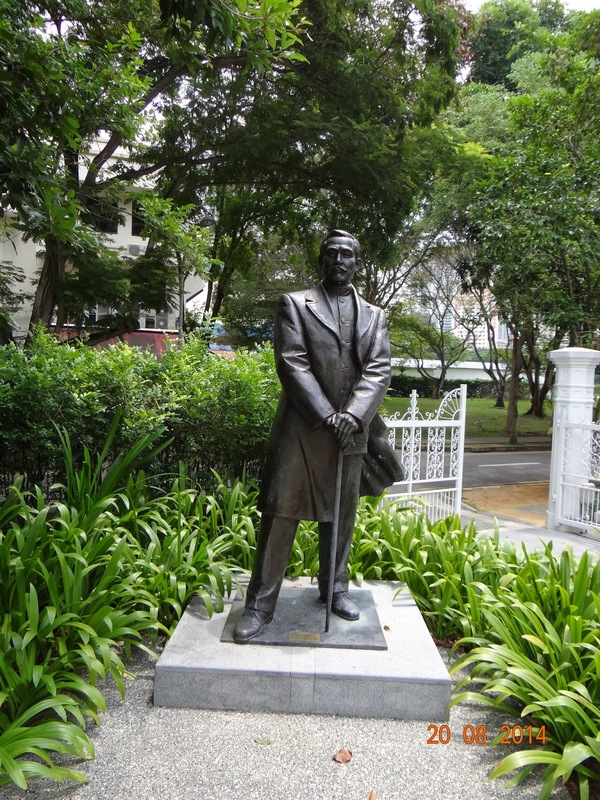 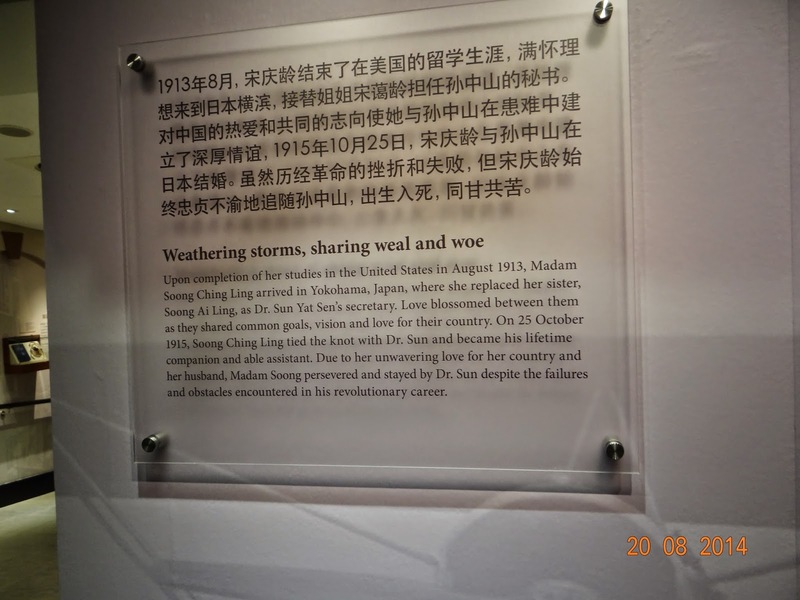 He was the first president and is considered to be the founding father of the Republic of China, respectfully called "Father of the Nation" in Taiwan, Republic of China (ROC). 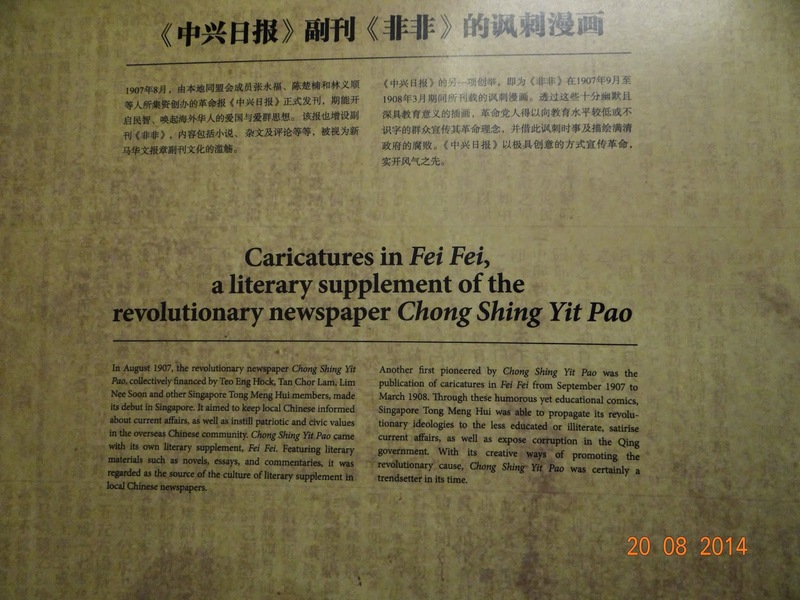 Mainland China or the People's Republic of China reveres him as the "forerunner of democratic revolution". 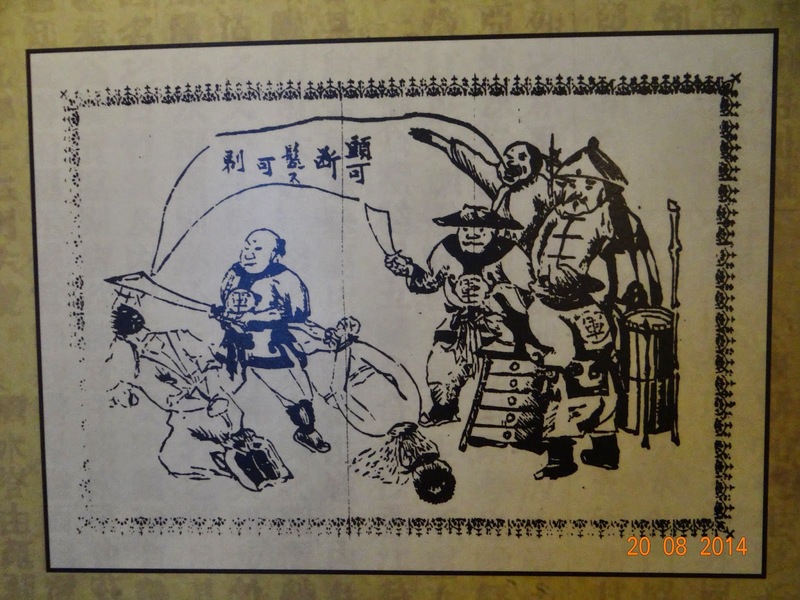 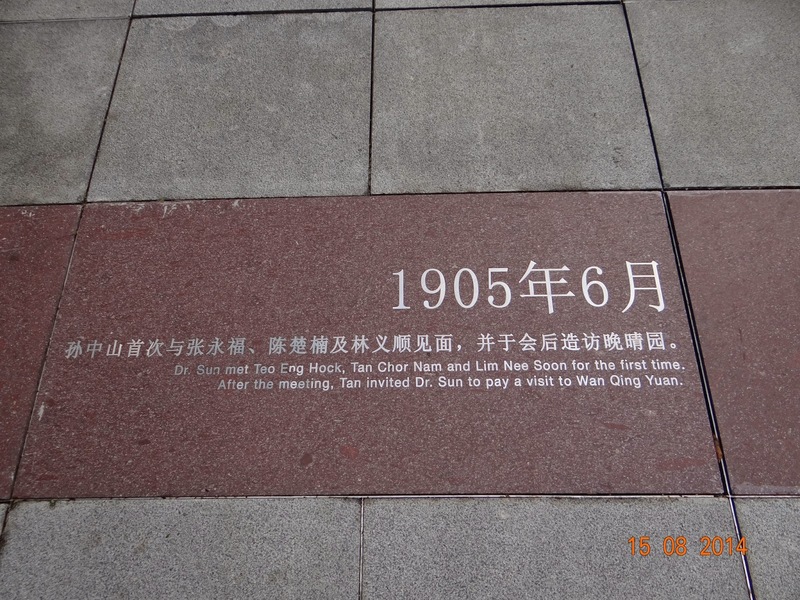 He played an instrumental role in the overthrow of the Qing dynasty during the years leading up to the Double Ten Revolution and was appointed as the Provisional President of the new republic, when it was founded in 1912. 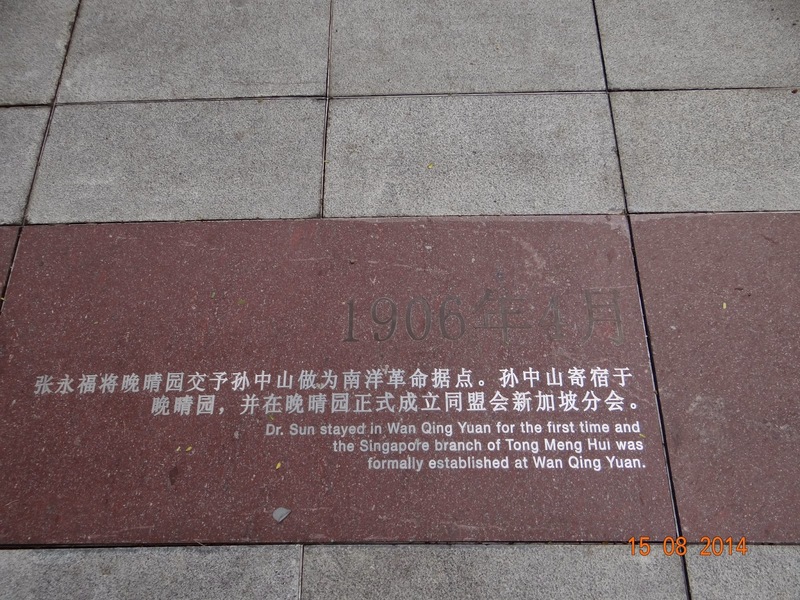 He later co-founded the Kuomintang (KMT) party, serving as its first leader. 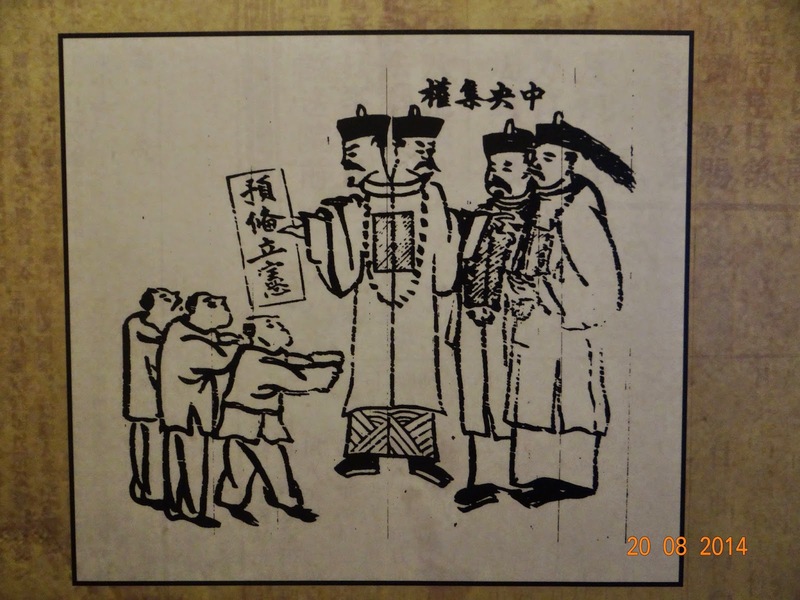 Sun was a uniting figure in post-Imperial China. 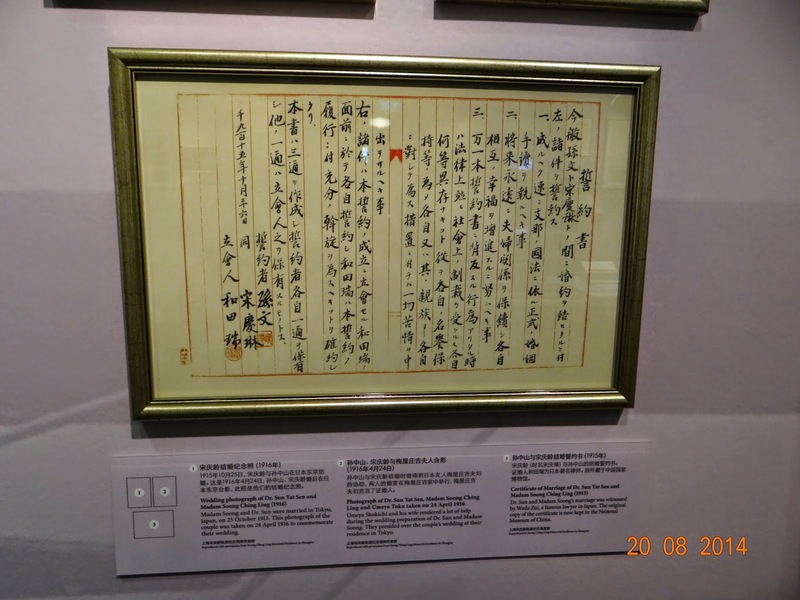 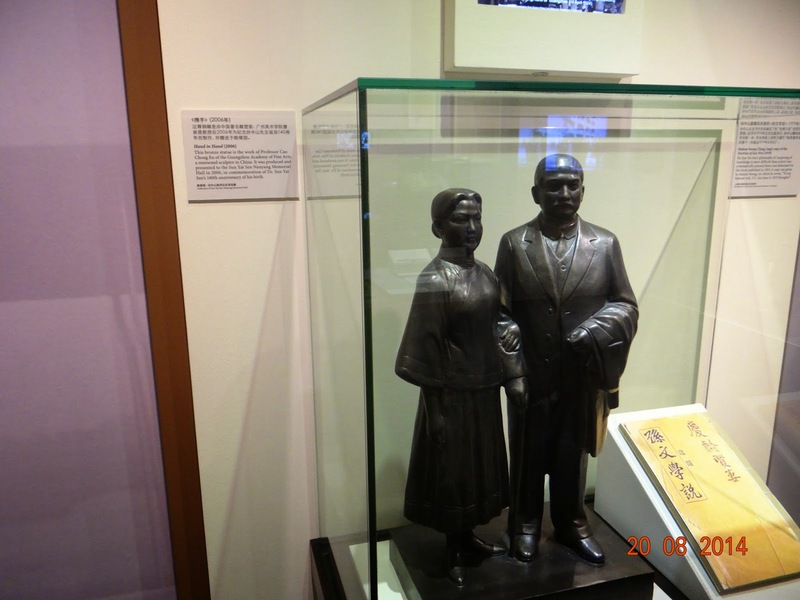 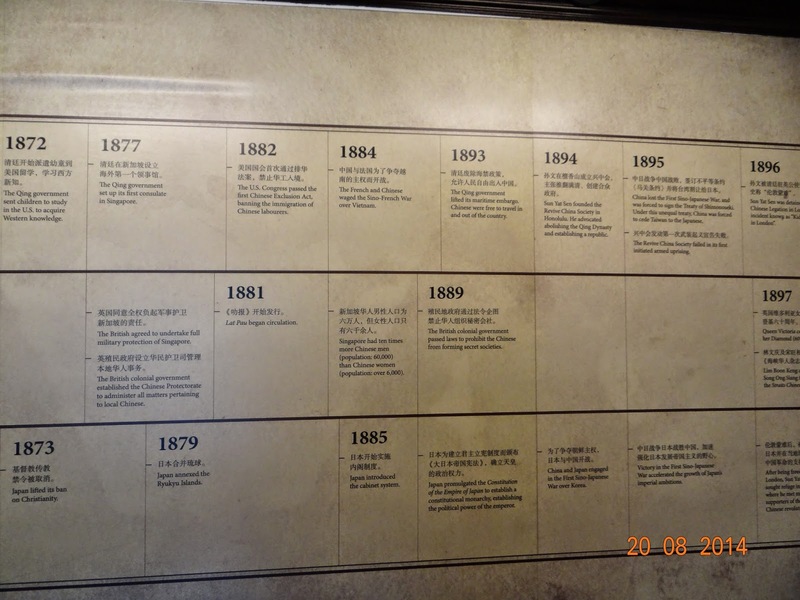 In 1905, Sun along with revolutionary Chinese students studying in Tokyo, Japan formed a group Tongmenghui (United League), which sponsored uprisings in China. 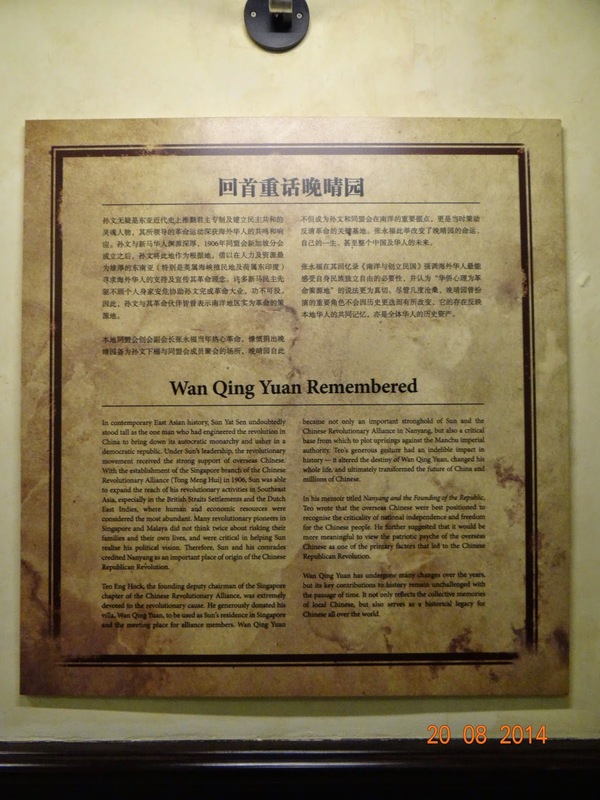 He came to the region actively seeking funds for the Tongmenghui. 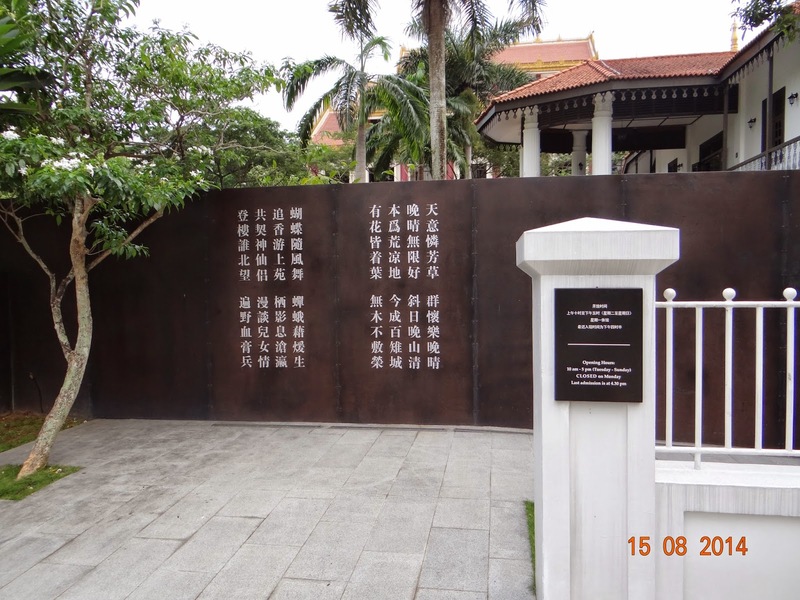 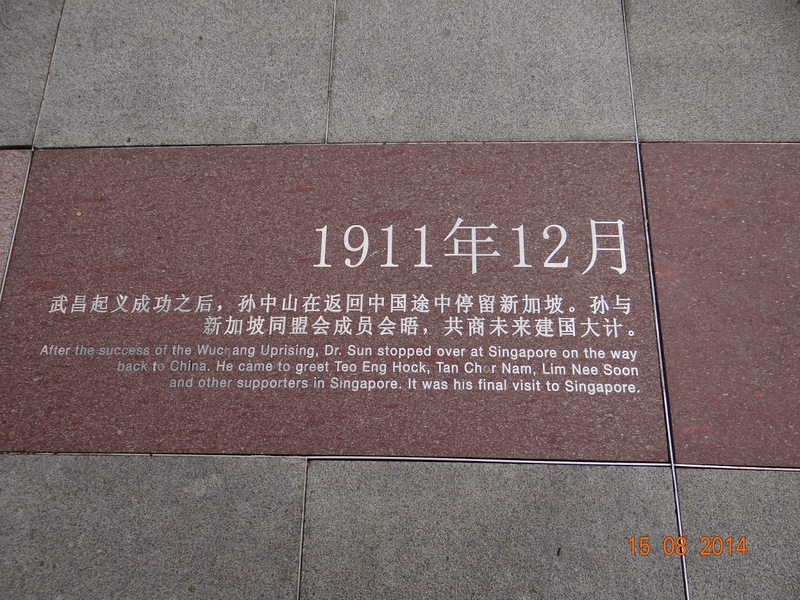 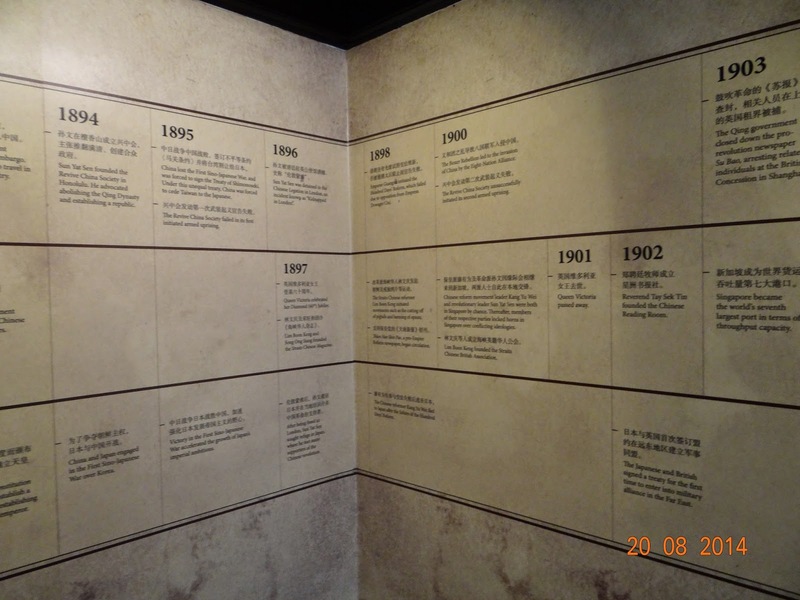 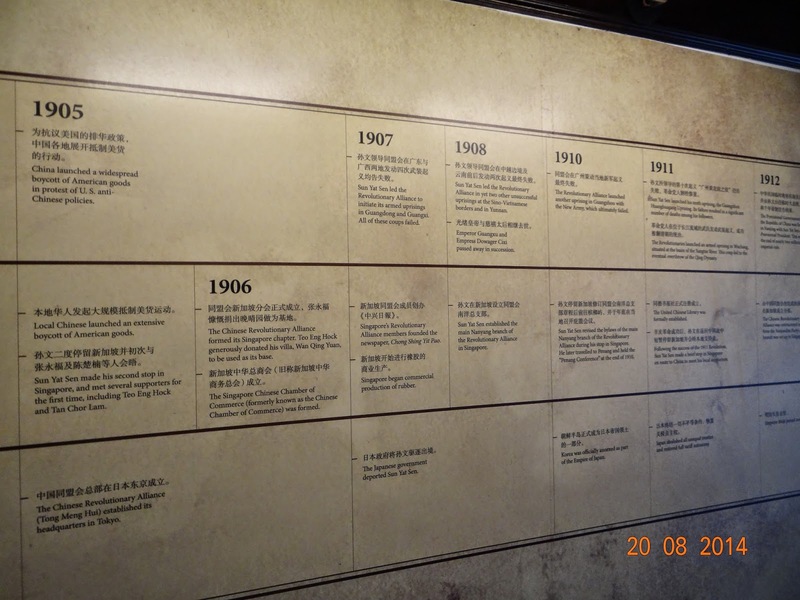 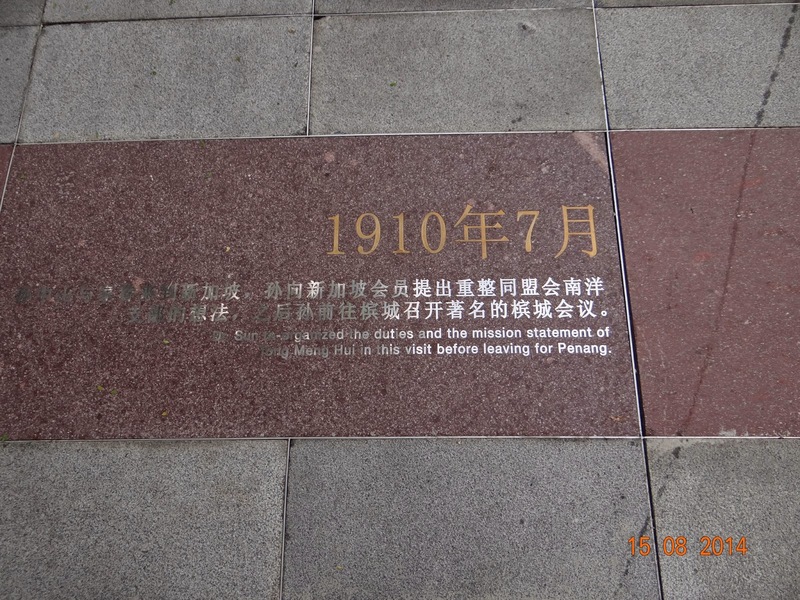 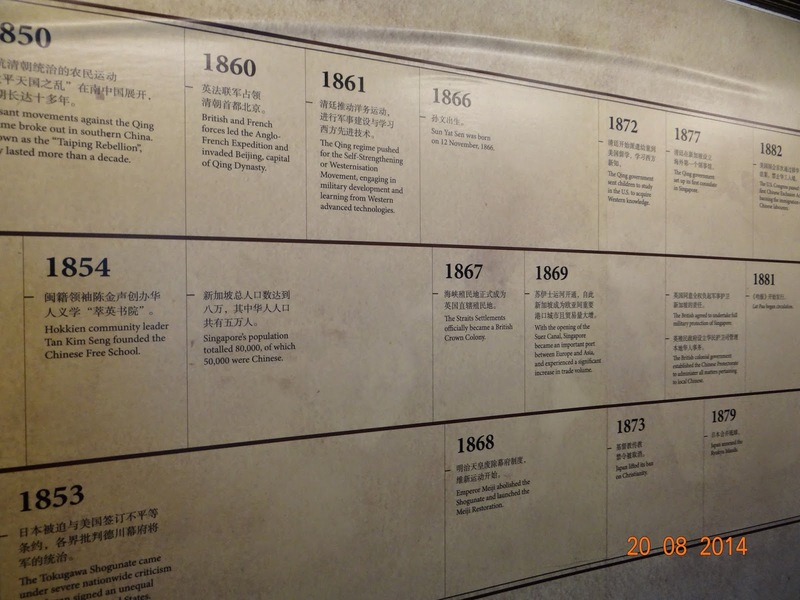 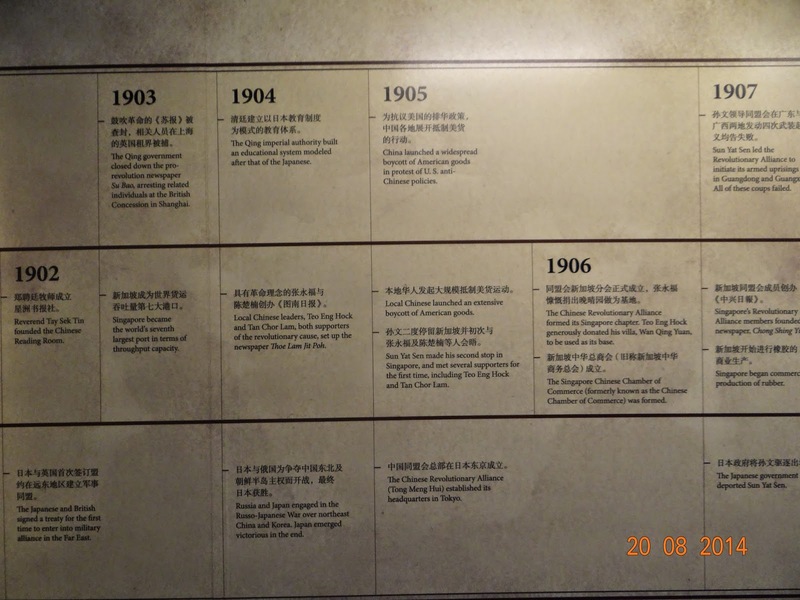 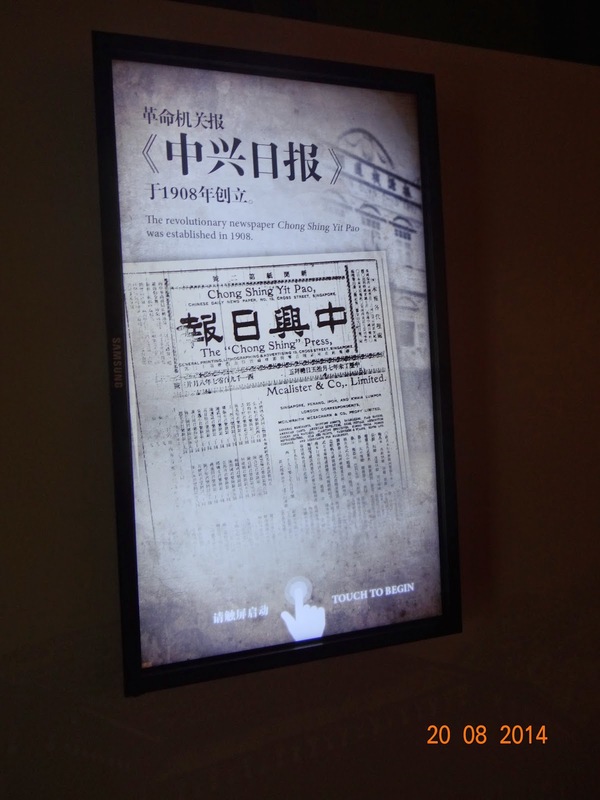 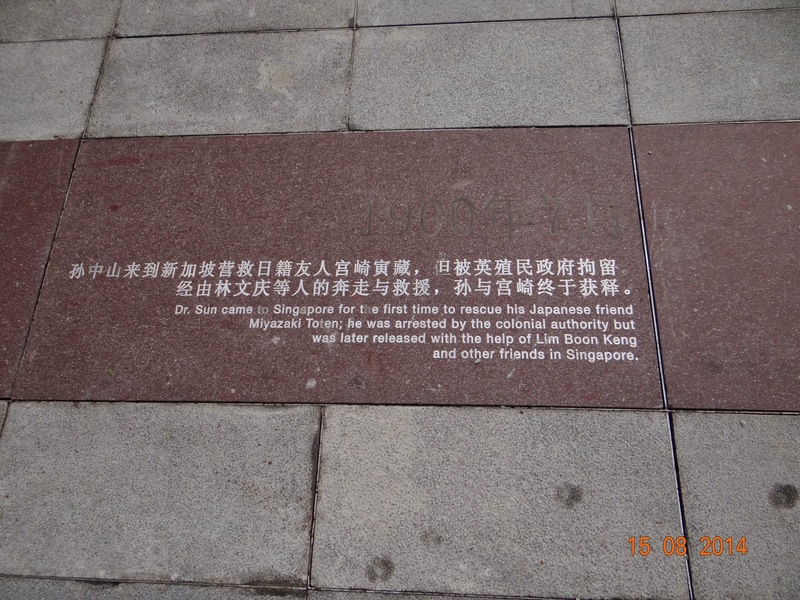 As you go on the heritage trail and walk across the the Zhongshan Park, the pathways are tiled with a timeline of Dr. Sun Yat Sen's tryst with Singapore - this is quite an innovative way of reminding people of their history. 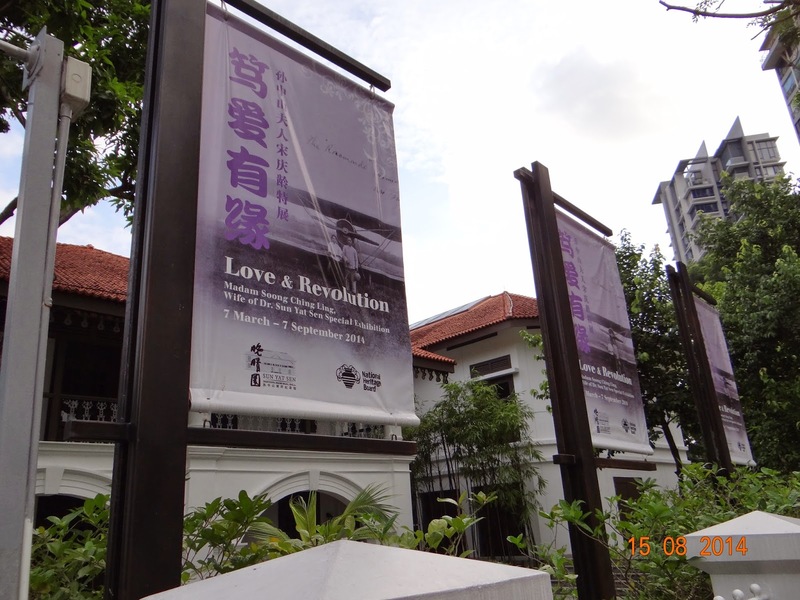 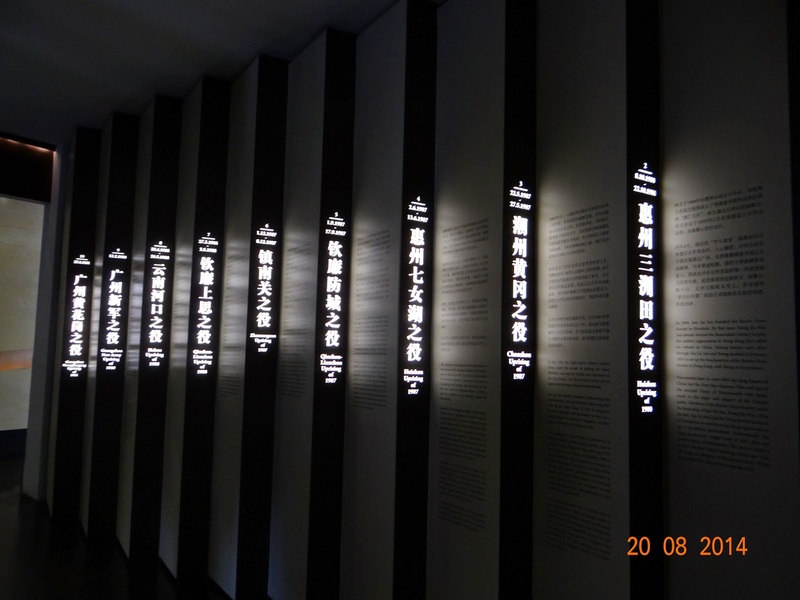 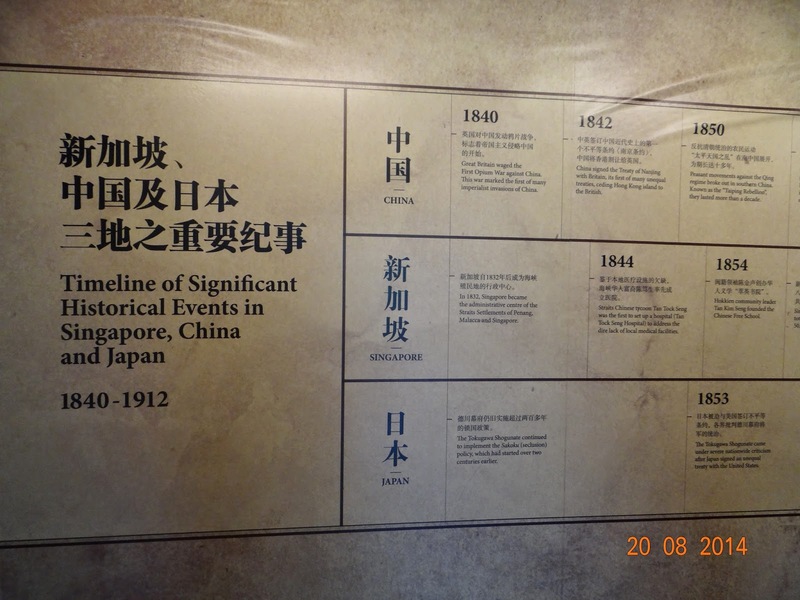 A few days back, on August 15, 2014, I tried to visit the Memorial Hall, but it was closed. 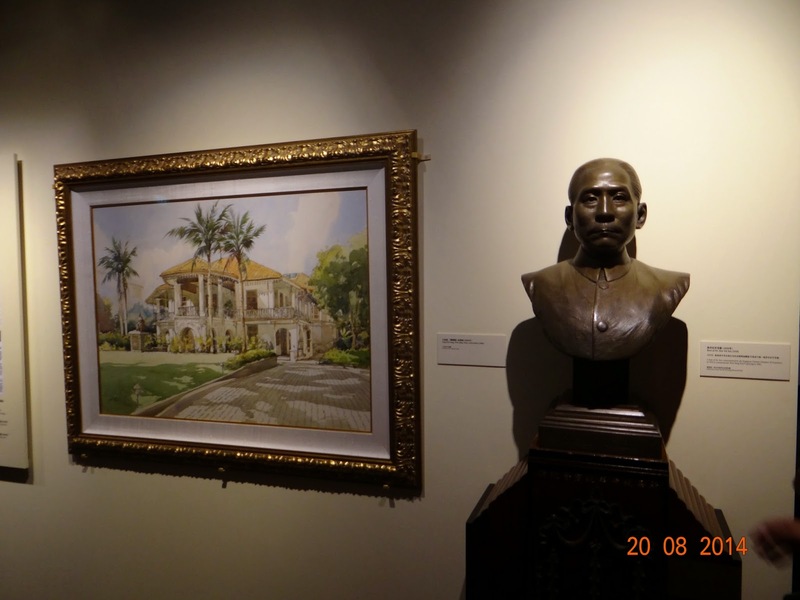 I could not help but appreciate the villa's stately elegance that last lasted over a century. 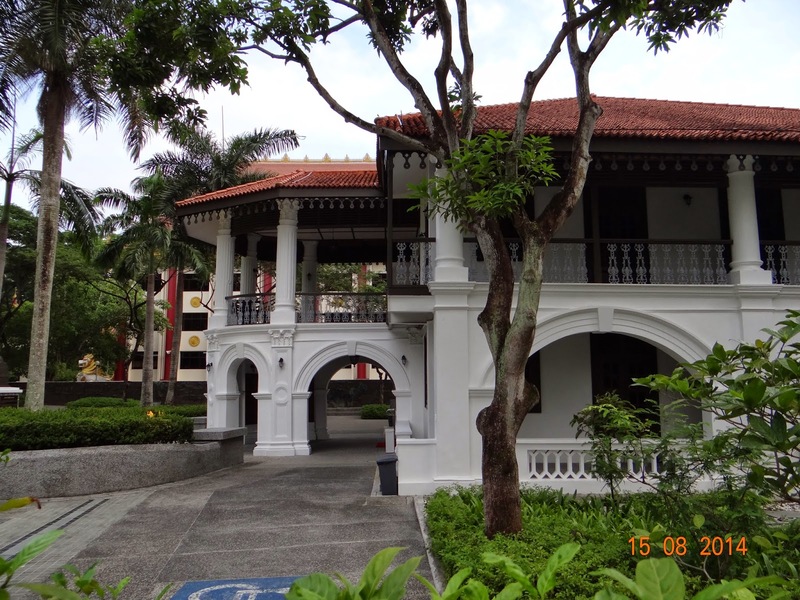 The two-storied villa is steeped in Victorian grandeur. 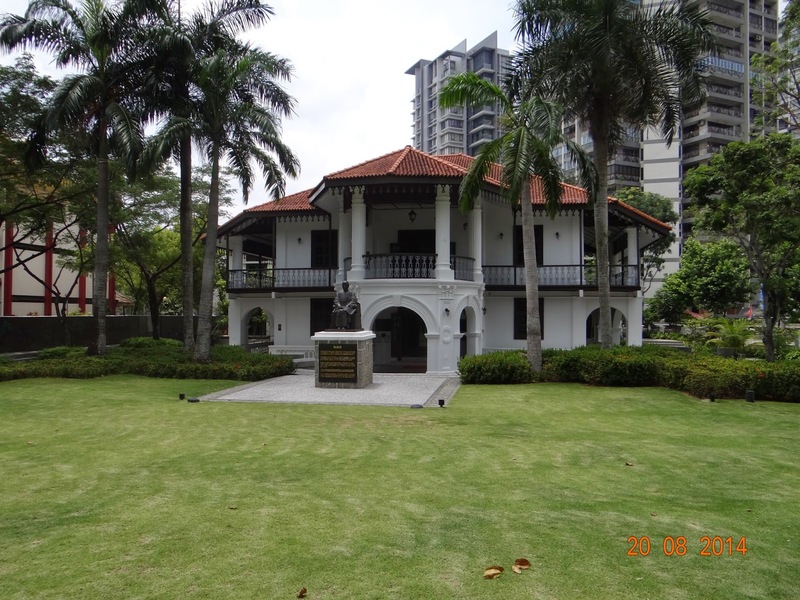 The villa was bought by a rubber magnate, Teo Eng Hock in 1905 and renamed Wan Qing Yuan. 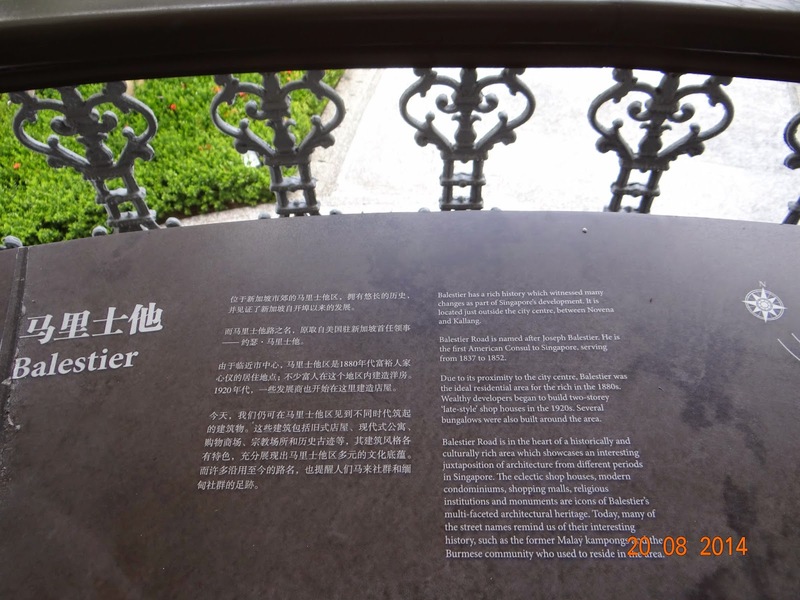 Hock had bought the villa for his ageing mother. 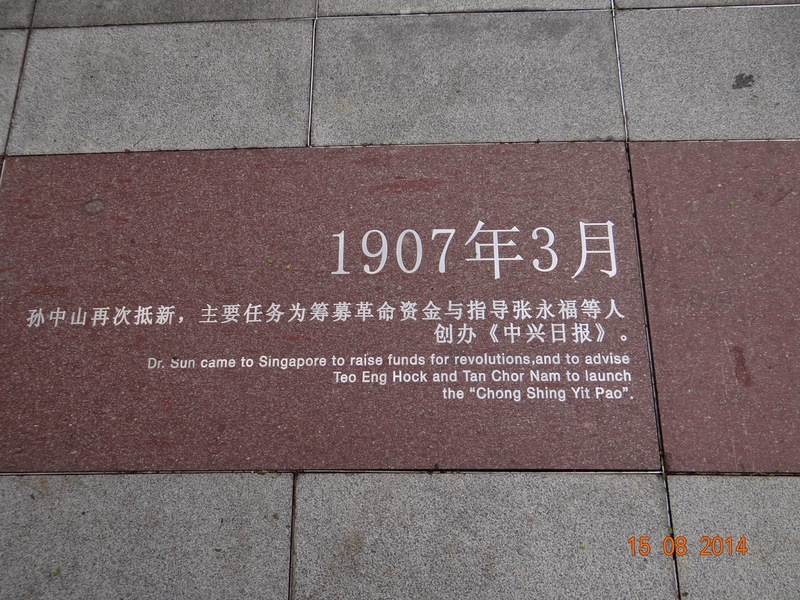 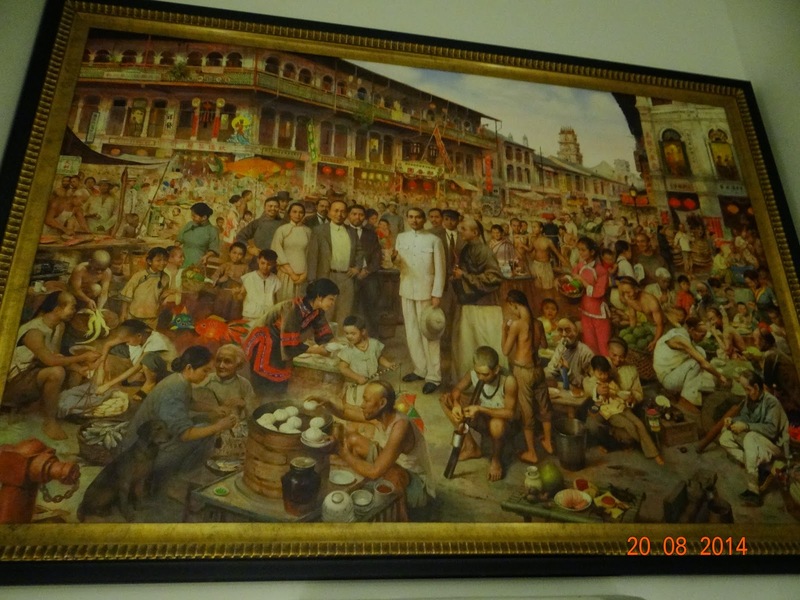 When Dr. Sen visited Singapore, he offered the villa as a base for the activities of the Tongmenghui. 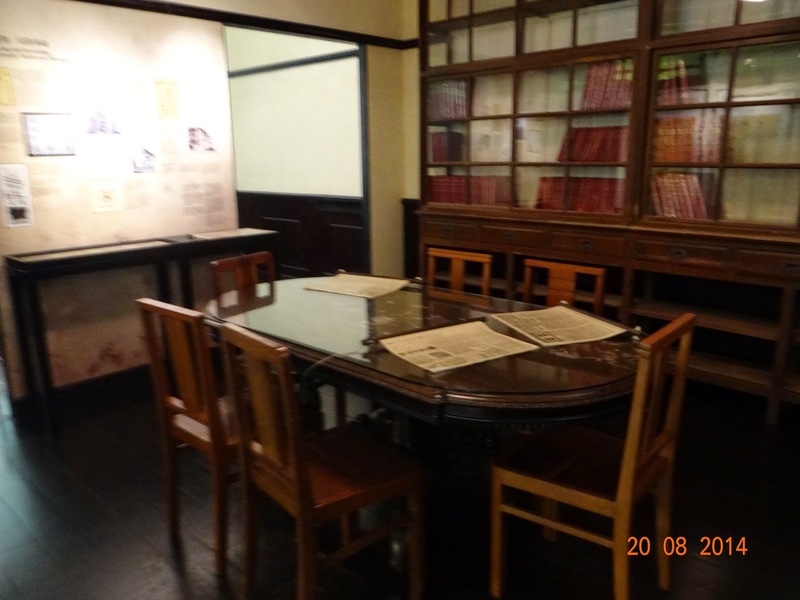 After the overthrow of the Qing Dynasty in China, the villa became the local headquarters of the KMT Party. 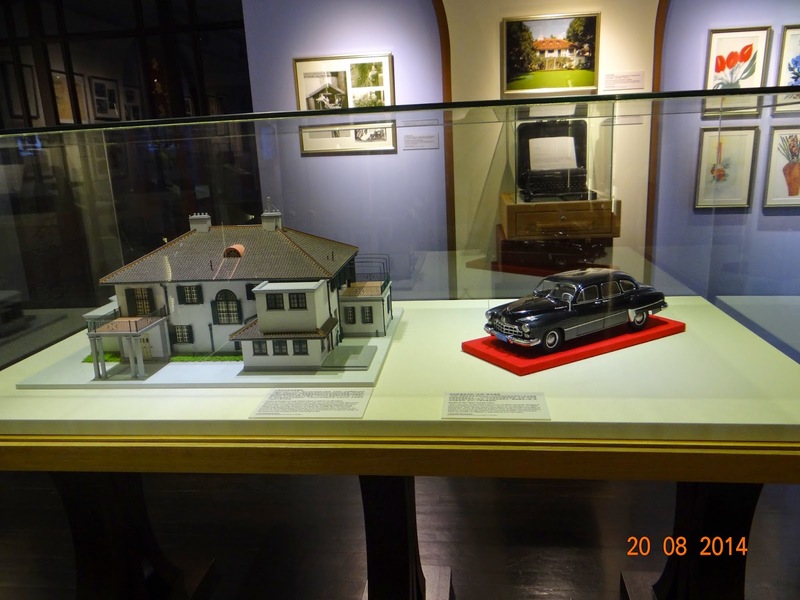 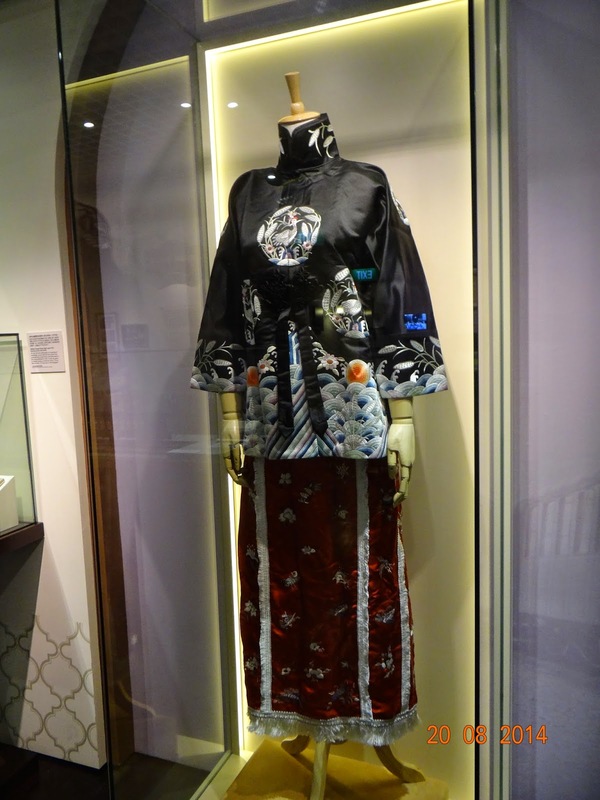 The villa changed hands and fell into Japanese hands during the Second World War. 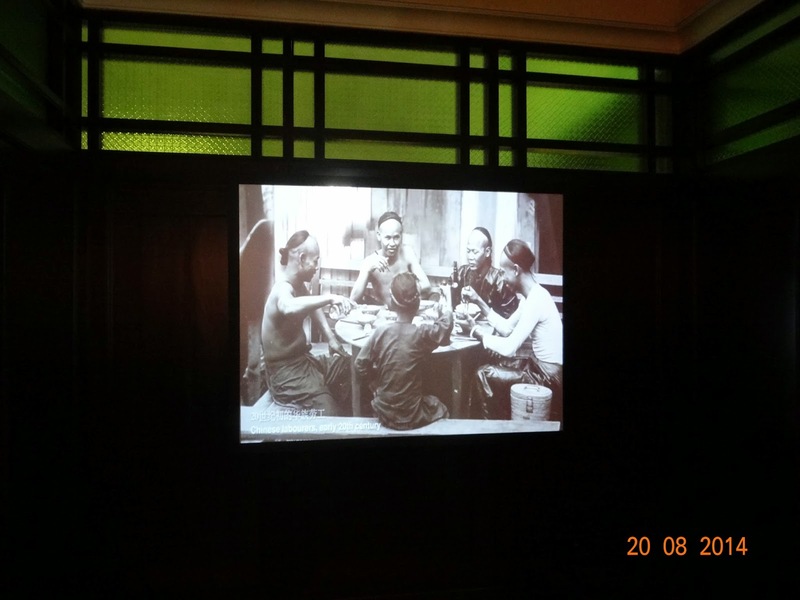 The Japanese used the villa as their communication centre and as an office of the Kempeitai or the dreaded military police. 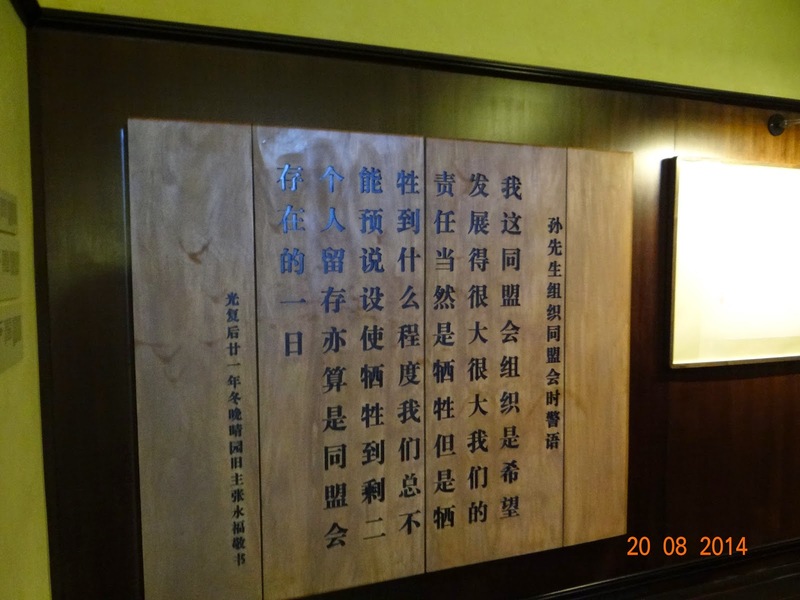 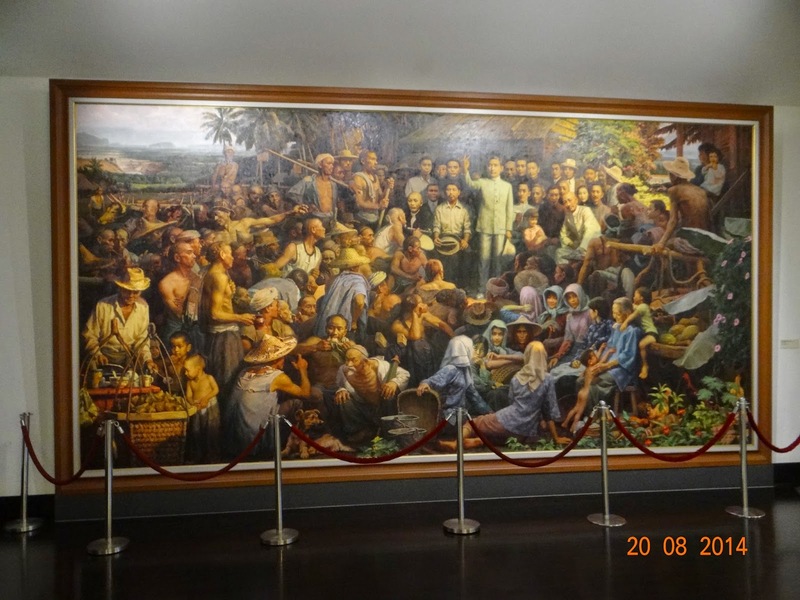 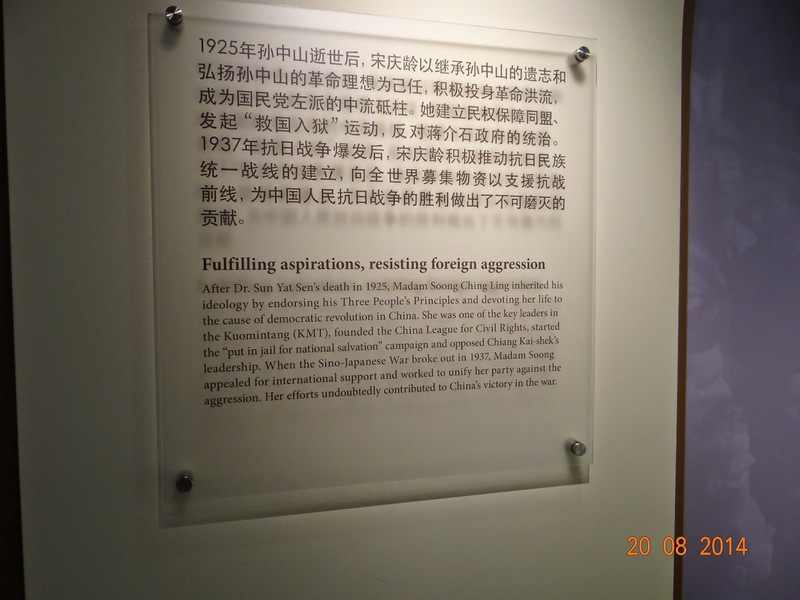 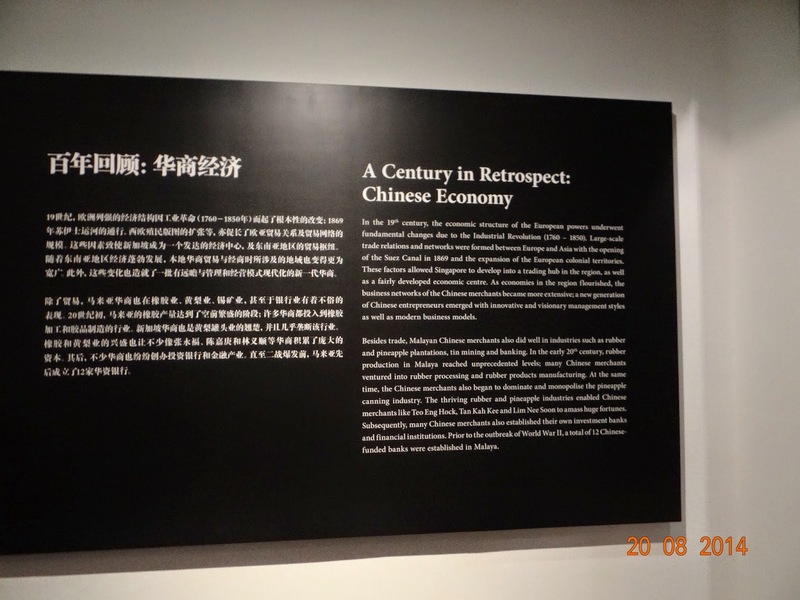 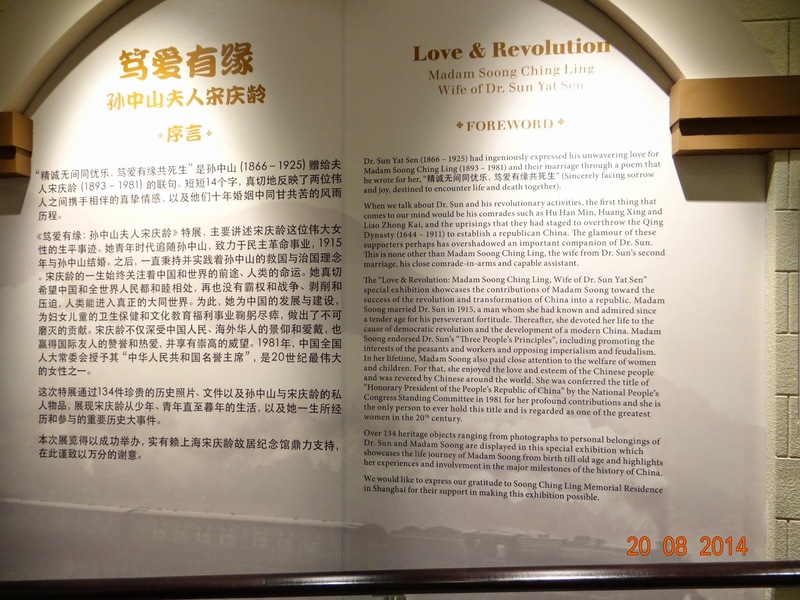 The villa was dedicated as a national monument in 1994 and was reopened in 2011 to commemorate the 100th anniversary of the 1911 Revolution in China.